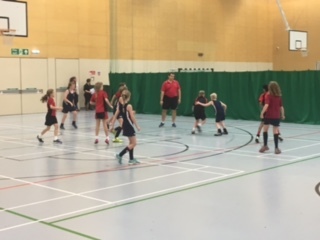 On Friday 14th October Quinton House participated in a basketball competition, playing five games in the afternoon to reach the semi-finals. The event was fantastic with pupils really showing their quality. In the first game they secured a good win against Swanborne, holding on at 4-3 to take the maximum points. They then went on to draw 6-6 against Akeley Wood, a nail biting game for both teams. Our final two games against BMPS and Swanborne 2 saw draws at 8-8 and 12-12. We qualified for the semi-final and went on to play Ashlawn, a very strong basketball team, who eventually went through. We are very proud of the team and the impressive teamwork displayed.